Hungarian rabbi and author; born at Neutra, Hungary, in 1805; died June 1, 1878. He became a pupil of R. Moses Sopher (Schreiber) at Presburg, and was for forty years rabbi at Balaton-Kojár, on the Plattensee, where he died. He published the following works: "Das Buch Hiob: Uebersetzt und Commentirt," Presburg, 1838; "Yad Gabriel" (Gabriel's Hand), novellæ about the slaughtering of animals as contained in the ritual codex in Shulḥan 'Aruk, Yorch De'ah, ib. 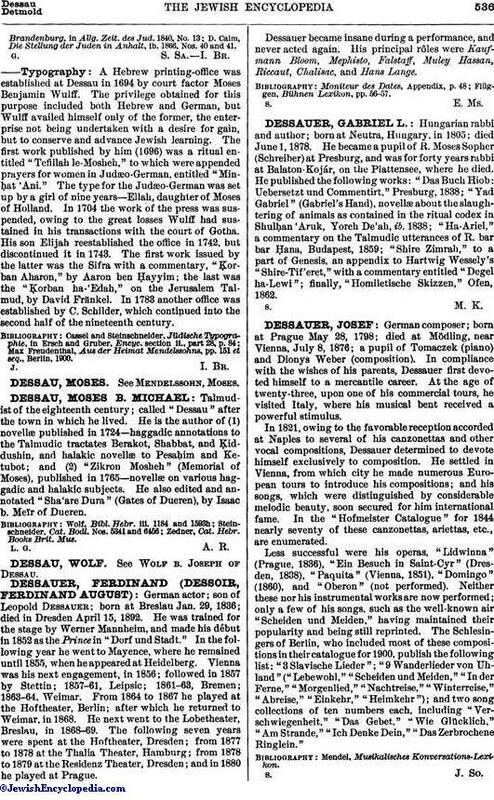 1838; "Ha-Ariel," a commentary on the Talmudic utterances of R. bar bar Ḥana, Budapest, 1859; "Shire Zimrah," to a part of Genesis, an appendix to Hartwig Wessely's "Shire-Tif'eret," with a commentary entitled "Degel ha-Lewi"; finally, "Homiletische Skizzen," Ofen, 1862.